The viola part for Brahms' Variations on a Theme by Haydn has been edited by Israeli-born Yizhak Schotten, an internationally acclaimed musician whom STRAD Magazine has called "one of America's finest viola players... a leading light of the U.S. viola establishment." Schotten's bowings, fingerings and other editorial markings have been added throughout the score. The origin of this work comes from a theme entitled "Chorale St. Antoni" found in a wind ensemble composition which had an attribution to Joseph Haydn. Brahms based his variations on this theme and credited Haydn accordingly. The initial presentation of the theme is followed by eight variations, each with its own distinctive character, and a finale in the form of a magnificent theme and variations on a ground bass derived from the principal theme. Although many experts agree that the original wind ensemble piece was not actually written by Haydn, Brahms' work (which does quote an actual passage from Haydn) continues to be known by its attributing title. 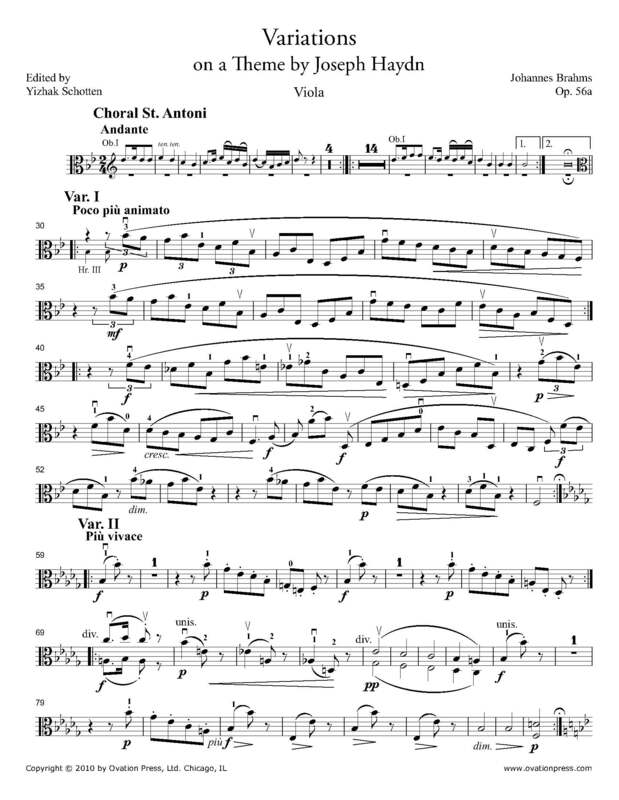 Download and print the score today to gain access to expertly edited Brahms' Haydn Variations viola fingerings and bowings from Yizhak Schotten!